This midweight Alpha Industries x NASA collaboration sweat boasts a high level of attention to detail. 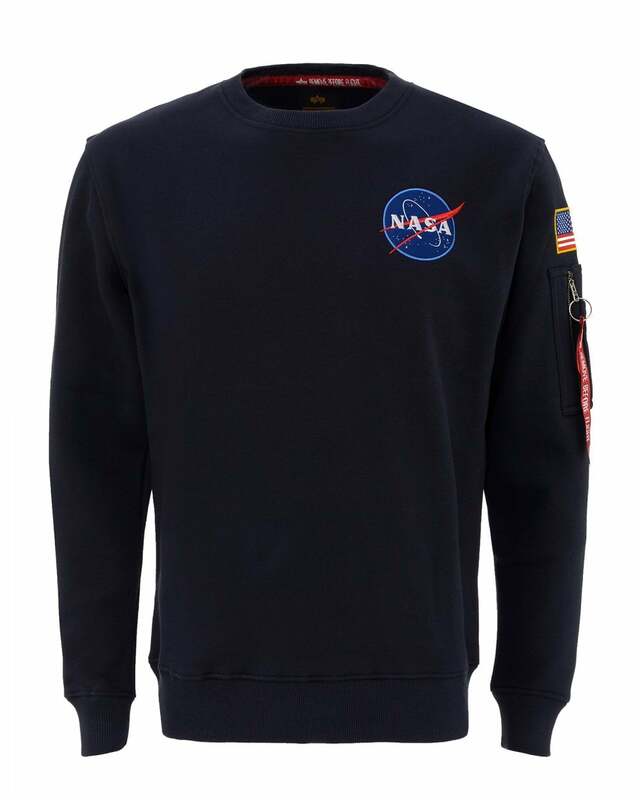 Featuring an embroidered front and back NASA logo, this sweatshirt also comes with the famous 'Remove before flight' tag on the upper arm. To add an extra touch of patriotism, a USA flag sits proudly on the arm to pay tribute to NASA.